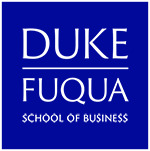 Since 1982, The Fuqua School of Business has hosted The Duke MBA Workshop for Minority Applicants. Held each fall, the workshop is designed to attract talented MBA applicants from underrepresented populations and provide them with insight into the business school admissions process. During the workshop, we also share information about financing your education and career planning beyond the MBA. The entire Duke community, not just our minority community, shares a long-standing commitment to diversity. Thus, the workshop is open to all prospective MBA candidates, regardless of their background, who share this interest. Student members of the Black and Latino MBA Association serve as hosts for the 3-day workshop. Approximately 50 minority alumni return each year to share their educational and professional insights with workshop participants.